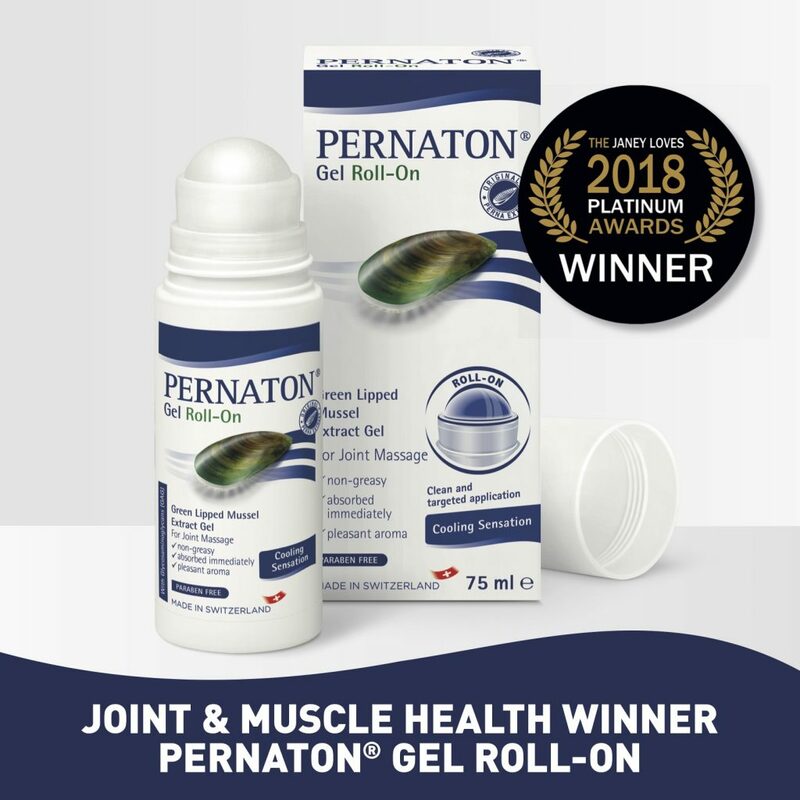 Pernaton has once again beaten off competitive pain relief products to be crowned the winner in the ‘Best Joint and Muscle Health Product’ category at the prestigious Janey Lee Grace Platinum Awards with Pernaton Gel Roll On. These awards champion natural and organic products and the judging panel included celebrities Zoe Ball and Carrie Grant as well as esteemed industry professionals Dale Pinnock and Dr. Marilyn Glenville. Judges commented on not only the efficacy of the product but were also impressed with the easy application and cost-effective price point. The award ceremony took place at the Go Organic Festival in Battersea Park on 8th September 2018.